As Everton welcomed December in, spirits were high. The team, buoyed by a revival under their new, vibrant manager, were about to enter a Merseyside Derby. After Sam Allardyce left Everton at the end of last season, the club was in a identity crisis. 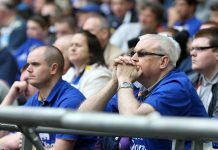 Meshed together by a Frankenstein squad and an appalling style of play, the club had no sense of direction or ambition, with a new club member seemingly trolling the fanbase each week with another outlandish remark. With that in mind, it was imperative that the Allardyce era came to an end when it did. 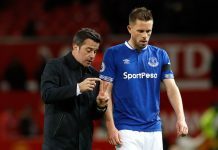 The club was directionless and would have continued on that trajectory should Farhad Moshiri chose not to part ways with the ex-England manager. So here we are around five months into Marco Silva’s time at Everton. The club was seemingly going in the right direction under Silva. Everton had an identity, a positive style of play and committed players. And then there was the day of dread. Anfield. Everton for ninety four or five minutes were flawless. Genuinely the best performance of the season even still for me. Jordan Pickford made a genuine error. I, for one minute,am not blaming the way we have gone on Jordan Pickford. Even still, Liverpool escape from the game with three points, when I’m fairness they arguably did not deserve one. The response has been pitiful. Since that game Everton have only beaten, Burnley, Lincoln City, Bournemouth and Huddersfield. To put this in context, the club has faced the likes of Newcastle, Watford, Millwall, Brighton and Southampton within that period. With all that being said, there is now colossal pressure on Marco Silva. There is a vast section of the fanbase that has had enough and they would have him replaced. What is perhaps saving Silva at the moment is that the potential list of candidates to replace him are woeful. Some bookmakers have installed David Wagner as favourite to replace Silva at Everton. Other fans have advocated the likes of Eddie Howeand Jose Mourinho and even David Moyes. With the exception of Mourinho, none of them managers are the ‘winner’ a lot of the fans desire. Mourinho and Conte are unattainable. Eddie Howe a carbon copy of Marco Silva and David Wagner and David Moyes are frightening prospects. So what should Everton do? 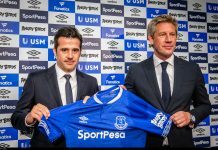 First of all, it is worth saying I am not writing this as a Marco Silva apologist, atoning for his genuine mistakes. I just think he is a very good manager who desperately needs to iron out some massive flaws. His Everton record also is not very good. But I just don’t think the club has got another managerial hunt left in them. Sacking Marco Silva would be costly and reactionary. Whether you really like him or really hate him, another managerial hunt would only be worth it for one of two men, Diego Simeone or Antonio Conte. Neither of who would relish the prospect of managing Everton. Marco Silva needs to change. 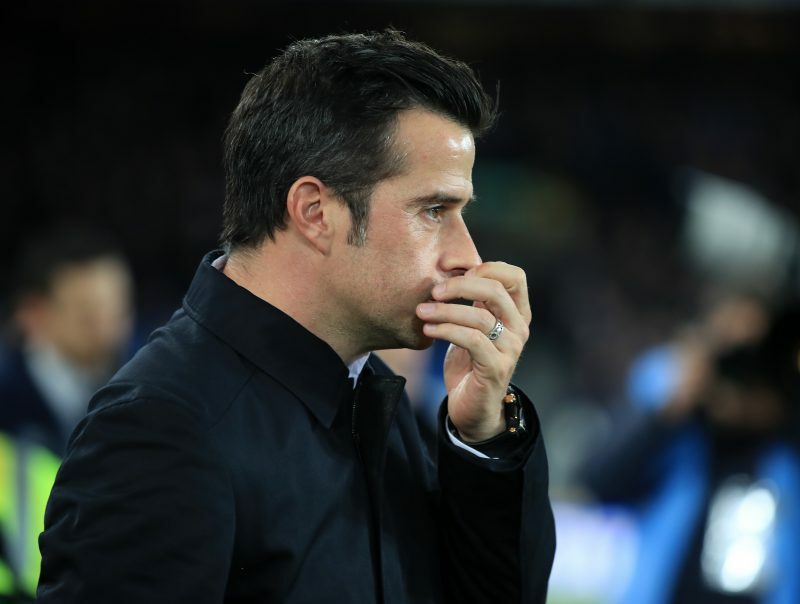 Marco Silva thus far has been a mixed bag and has shown as many flaws as he has strengths but sacking him twenty five games into a season is untenable and would continue a vicious circle.